Just wanted to show you jet another mermaid ATC that I have made recently. Fab ATC, great colours and beautifull coloured ! What fabulous colors and coloring! 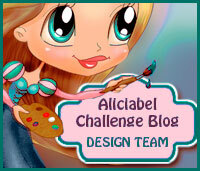 Thanks for sharing and joining us at Inspiration Destination Challenge Blog. Hope to see you again and good luck! Beautifully done, Aurora! Love the deep blues of the sky and ocean. I love seeing your project entered in our “No Patterned Paper” challenge at Tuesday Throwdown this week. Good luck and hope to see you playing again soon. 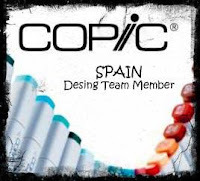 Wonderful background and coloring on your ACT. I like the fiber layer, too. Thanks for sharing this with us at Tuesday Throwdown Challenge. Good luck. Wow...is all I can say. Thanks for joining us at Inspiration Destination. Good luck. Such a beautiful Holiday Card. Cute Image. Thank you for Joining us at CMD Challenge. Cada vez que veo uno de tus trabajos me quedo con la boca abierta. Impresionante, tanto el cielo, que es super chulo, como los detalles que tienen los peces y el agua, sobre todo siendo tamaño ATC! Precioso el ATC Aurora, y lo mejor es que está en mi poder, je,je! Un beso y muchas gracias por participar en el primer reto de Colouring in Scrapland. Mucha suerte!!! Muacs! 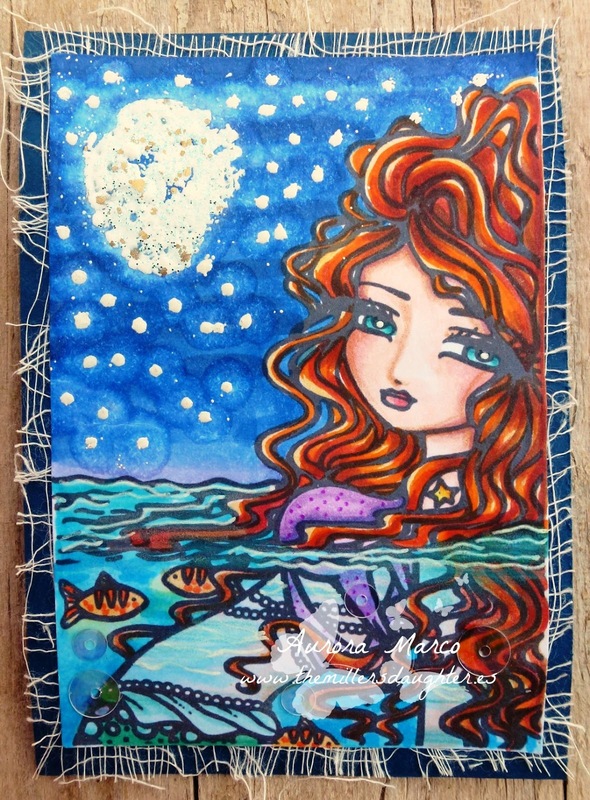 Aurora, what a fantastic ATC you have made that fits in well with the Ching-Chou Kuik Digital Stamps Inspiration and Challenge Blog Monthly Challenge this month of “sparkle and shine”. Thank you for entering and best wishes in the draw. 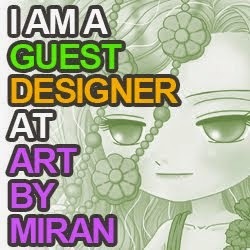 Kym (Ching-Chou Kuik Digital Stamps Design Team Leader). 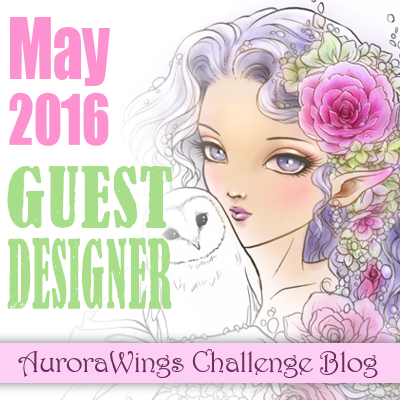 PS If you would like to be a future Guest Design Team Member please make sure you add “GDT” after your name on your entry for the challenge or write a comment in the comment box. Que preciosidad!!! Me quedo impresionada como un trabajo tan pequeño puede ser tan hermoso!!! 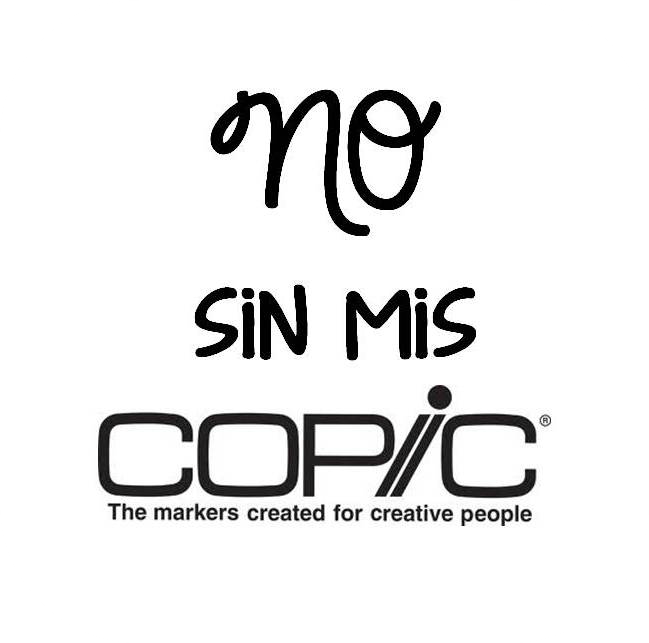 Muchas gracias por participar el Colouring in Scrapland. Besitos Ana. Qué preciosidad de Atc, Aurora!!!! Con formato tan pequeño y un resultado espectacular! 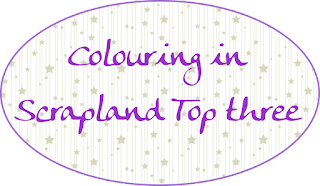 Muchas gracias por participar con nosotras en Colouring in Scrapland! Bsts! Che dire Aurora, spettacolare anche questo progetto!